B.Sc. (First class with Distinction) in Mathematics, York University, Canada (1975). M.A. (Mathematics), York University, Canada (1976). Ph.D. (Statistics), University of Western Ontario (1981). Nominated for the State Natural Science Award 2016 (second class) by the HKSAR Government. The following papers of mine have been listed as HKU’s most cited (within first 50) in Scopus (2016) under the categories of Mathematics, Decision Science and Economics & Finance. Total citations in the Web of Science = 2750 as on 20-01-2016. The QS world ranking by subject for HKU Statistics rose from 26th in 2011 to 20th in 2017. HKU is ranked No. 1 in Asia and No. 10 worldwide in a publication of the official journal of the Society of Actuaries, North American Actuarial Journal (2013 Vol. 17, 3-12), in terms of publication pages in the actuarial journals included in the study over a 30-year period from 1982 to 2011. The Department of Statistics and Actuarial Science was designated as a Center of Actuarial Excellence by the Society of Actuaries on 15 December 2011 (renewed December 2016). The designation is awarded for a period of five years to schools which demonstrate excellence in actuarial science through meeting strict criteria in quality of curriculum, number and quality of graduates, qualified faculty, strong ties to business, and beneficial research and scholarship. Academic: Chair Professor, Department of Statistics & Actuarial Science, University of Hong Kong, Hong Kong, July 2000 - present. Professor (Reader), Department of Statistics & Actuarial Science, University of Hong Kong, Hong Kong, July 1995 - June 2000. Senior Lecturer, Department of Statistics, University of Hong Kong, Hong Kong, 1st January, 1991 - June, 1995. Lecturer, Department of Statistics, University of Hong Kong, Hong Kong, September 1983 - December 1990, (tenured since 1985). Lecturer, Department of Economics and Statistics, National University of Singapore, Republic of Singapore, September 1981 - August 1983. Administrative: Head, Department of Statistics and Actuarial Science, HKU, 1st January 1997 – 31st December, 1999, 1st January 2006 – 31st December, 2008; 1st September, 2011 - 31st August, 2017. Director, Big Data Research Cluster, Faculty of Science, HKU, Sept. 2016 – June, 2019. Chairman of Conference/Travel Grant Sub-group, HKU, Sept., 2011 – Dec., 2017. Chairman, Promotion & Tenure Panel, Faculty of Engineering, HKU, Nov. 2015 – Aug. 2017. Panel member of the Physical Science Panel, Research Grants Council (RGC) of HKSAR from September 4, 2008 to June 30, 2014. Chairman, Professional Affairs Committee, Hong Kong Statistical Society, since 2003. Member, Statistics Advisory Board, Secretary for Financial Services, HKSAR Government, June 2002 – June 2008. 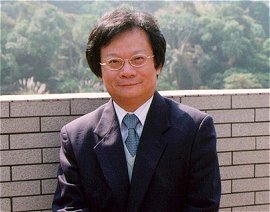 President for the Hong Kong Statistical Society: 2000 – 2003 (3 successive sessions). Invited Senior Speaker, Non-likelihood Based Statistical Modelling Workshop, University of Warwick, UK, 7-9 September, 2015. Invited Speaker, Nonlinear Time Series Analysis: Thresholding and Beyond, London School of Economics and Political Science, Sept., 19-20, 2014. Invited Speaker, Institute of Mathematical Statistics - Asia Pacific Rim Meeting (IMS-APRM) 2014, National Taiwan University, June 30 – July 4, 2014. Plenary Speaker, Fourth Singapore Conference on Statistical Science, National University of Singapore, Feb 6-7, 2014. Chairman, Local Organising Committee, Young Statistician Meeting YSI2013, August 23-24, 2013, HKU, a satellite event of the 59th World Statistics Congress (The biennial flagship conference of the International Statistical Institute). A US$37,000 contract from Microsoft to develop software on financial risk management for the C# environment (Co-I: 2004-2005). A HK$600,000 contract with Hong Kong Exchanges and Clearing Ltd. on risk management (PI: 2002-2003). A HK$200,000 contract with Hong Kong Monetary Authority for developing Economic & Financial Indicators (PI: 2002-2003).